So how were the fortunate 15 selected? Simple really – anyone who purchased a club from Benross’ current high-performing, competitively priced range during the qualifying period, and registered online to activate the three-year warranty, was entered into a draw for the Benross Be Our Tour Pro a taste of the big time Championship at the glorious heather-clad West Hill Golf Club in Surrey on October 1 and 2, 2015. 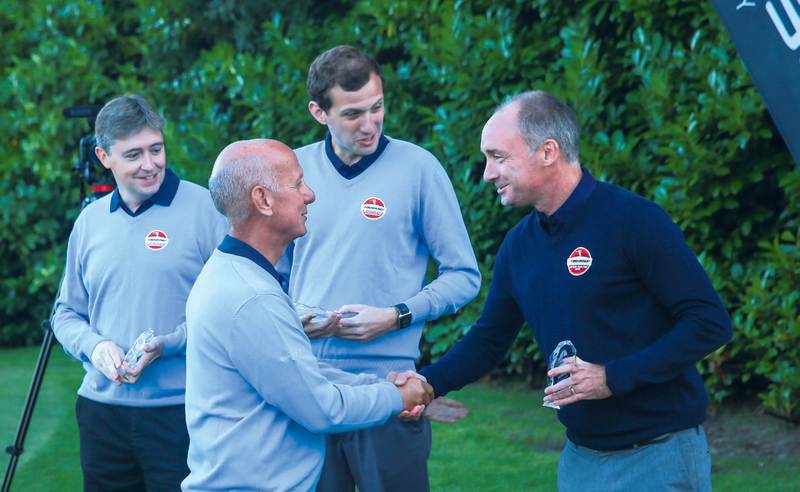 On day one, competitors were welcomed by the Benross team and West Hill professional, Guy Shoesmith, before a practice round on the stunning heathland arena over which they would battle it out for the Benross Be Our Tour Pro Championship the next day. They then retired to the fvestar luxury of the Brooklands Park Hotel in Weybridge for an excellent dinner, and a glass or two of something suitably relaxing ahead of the big day. The next day, competitors were chauffeur driven to West Hill, and treated to pre-round coaching from Shoesmith on the putting green, and Benross’ Dave Allen around the excellent short-game area. With all the preparations done and the odd media interview successfully negotiated, it was time to meet their professional caddies, and make their way to the 1st tee, with Sky Sports’ Jon McDonald acting as Ivor Robson. Then they were off and away, threading their balls between heather and pines, and up on to West Hill’s sometimes mischievous putting surfaces. Leaders quickly emerged in both individual and team events, with the scoreboards updated regularly. Competitors had been grouped regionally into teams of three, and it was Team Wentworth’s Dave Lewis, an 11-handicapper from Thornbury near Bristol, who took charge, going four clear of teammate Lee Beckford and Graeme Mitchell from Team St Andrews through 12. The par-3 13th offered a hole-in-one prize of a stunning blue Maserati Ghibli – £54,000 worth of pure motoring fun. But although Team Hoylake’s Andy Darbyshire knocked it in to six feet, and Team Valderrama’s Niklas Kausland to a similar distance – with the ball running back down towards the hole from the rear bank – it wasn’t quite to be. Lewis survived a minor scare, overshooting the green before eventually scrambling a bogey, and held frm to reach 30 points through 15. Meanwhile Darbyshire, inspired by his teeshot on 13, wracked up 10 points in three holes to lie just two adrift. In the end, it all came down to a tricky 15-footer from Lewis in front of the 18th-green crowd. After consulting with his caddie, he calmly rolled it in dead centre and gave a little fist pump. That put him on 34 points, one clear of Darbyshire, and six ahead of Kausland and Mitchell. Look out for details of the 2016 event soon, with Everitt promising an even better tour pro experience, and the chance for even more people to be involved, all because they bought a Benross club. That’s all Lewis did, breaking with years of tradition. “I’d always played clubs from big brands,” he admits, “but I have found no difference, other than the great value.” Try a Benross club for yourself, and next year it could be you! 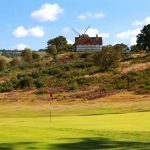 Featured Stockist – Reigate Heath G.C.